Can not stop your cough? Fast remedy with over 90% success rate! Home » Can’t stop coughing? Over 90% success rate! Can’t stop coughing? Over 90% success rate! If you can’t stop coughing, then there is a natural remedy and proven medical treatment that can help you fast to stop coughing – the best part is that it requires nothing! Although some people might be sceptical regarding the possibility of a breathing technique having the potential to stop a cough in a mere 1-2 minutes, there are over 200, 000 Russian asthmatics who learned about the Buteyko breathing technique and claimed that it really works. More than 180 medical doctors who practice the Buteyko method in Russia and the USSR taught this secret to their patients. This breathing exercise helps to stop coughing naturally by helping you breathe less air – it has a guaranteed 90% success rate for it enhances body and brain oxygen levels! When you cough, you actually breathe 3-4 times more air as compared to the medical norm, thereby losing excessive amounts of CO2. 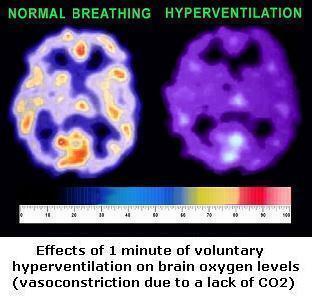 This is known as hyperventilation or overbreathing, which leads to less oxygen in all vital organs and body cells. Before anything else, check out this YouTube video ‘How to stop coughing naturally‘. coughing > CO2 drop> airway irritation > increased inflammation > infections > more coughing > even lower CO2 …. The first step is to turn this negative cycle of CO2 loss around. Learn how to cough only via the nose. Believe it or not, this is the most crucial and basic requirement of the Buteyko Emergency Procedure as well as the Buteyko method in general. There is simply no way for you to improve your health as long as your cough via the mouth. The next step is to practice breathing exercises that can help you to get rid of cough. How? You have to sit down in a comfortable position on a straight chair at an ordinary table. When you have a coughing bout, keep body muscles relaxed. At the end of exhalation, pinch your nose and start holding your breath. Do it until you experience moderate level of stress or strong discomfort, when you have more experience. Remember, your mouth, during this exercise and at other times, needs to be closed at all times. If you find it hard to hold your breath (in cases of severe coughing), just pinch your nose and keep your mouth closed while coughing – this will prevent excessive air exchange and CO2 losses. This is because your goal is to increase the amount of CO2 in your airways (not to lose it). This CO2 boost is going to calm down the cough-receptor cells irritated because of several biochemical and mechanical factors during severe coughing bouts, as in severe asthmatics. These nerve cells over-stimulate the breathing centre in the brain both to initiate and to continue persistent coughing. Once you experience a moderate or distinctive desire to breathe after the breath hold, take only a short or small inhalation (just a small sniff) that is also done via the nose. Start focusing on relaxing all of your body muscles again after this small inhalation. In order to exhale slowly, focus particularly on the muscles in your shoulders and upper chest. 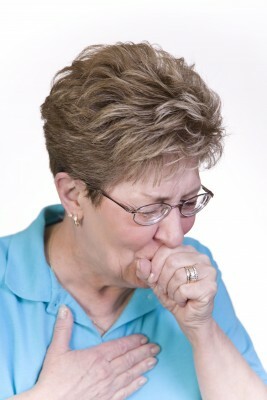 If you are coughing, your basic aim is to limit your gas or air exchange to a very small amount. Ideally, the exhalation, during this exercise and in general, needs to be relaxed or unforced and natural. Then you should take another small inhalation. Without delays, relax completely in order to exhale. Your basic goal with each breath is to take a reduced (or smaller) inhalation. After this inhalation, without delays, relax completely to exhale even if you suffer from chronic coughing. It is vital for you to gradually increase CO2 content in airways by creating a significantly distinct air hunger while keeping your body muscles relaxed. 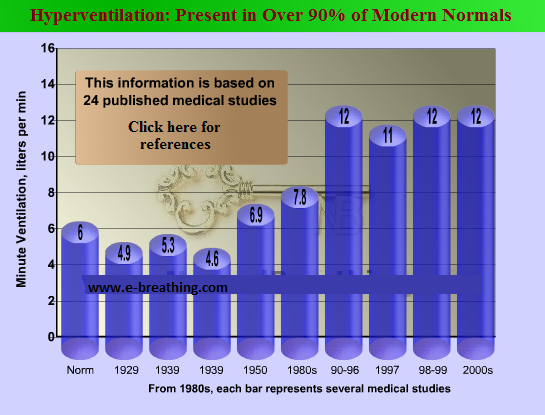 What would be the effect of reduced breathing? You are going to experience a growing desire to breathe more air (also known as “air hunger”), and you need to maintain this air hunger for some minutes. It usually takes 1-3 minutes for coughing to subside. How can I stop coughing at night or during sleep? If you have persistent cough at night, you need to perform a different natural exercise “How to stop coughing at night“. Another factor that will help you to stop coughing naturally is to use Earthing for grounding the body to acquire Earth’s electrons to cut down on inflammation.